Hypertherm Plasma Torch parts.Hypertherm plasma consumables. Hypertherm Main Torch body :- 228716. 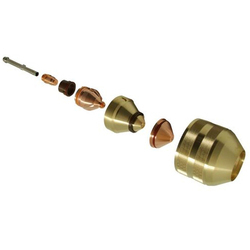 In order to make plasma torches work in a more compatible and proficient manner, we bring forth this exclusive quality range of Hypertherm Plasma Torch Parts. 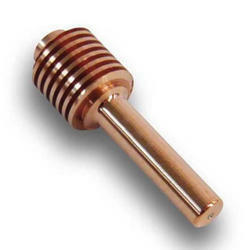 These parts are perfectly accurate in dimensions and are as per the industrial standards. customers can easily avail this range from us as per their needs and demands. We offer this whole range at the most legit prices. Complete range of Hypertherm plasma consumables. We are an eminent name, which is engaged in offering a supreme range of High Performance Plasma Consumables. The offered range is designed & developed utilizing innovative machinery and modern technology in adherence with the international quality norms and standards. Along with this, the offered range is available in different customized specifications to meet the diverse requirements of esteemed clients. Looking for Hypertherm Torch Parts ?